This all-sativa hybrid is the result of a cross between two pure landrace strains from Columbia's Santa Marta mountains. The mountains are home to Columbia's tallest peaks. Cannabis has been grown in this area, both farmed and wild, for generations. Efforts to bring out the medicinal benefits of the plant via continual inbreeding have resulted in one of the purest hybrids you're likely to find anywhere. The breeders at World of Seeds work with seeds from all over this area and have undergone a true labour of love to create what is now presented to you as Columbian Gold. 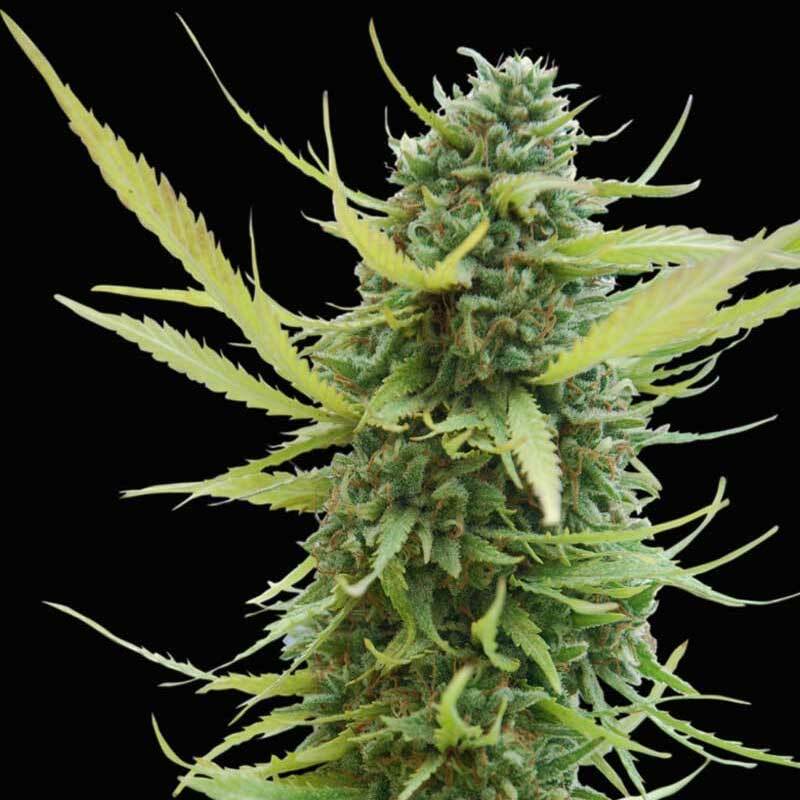 The plants are very vigorous, branchy and tall with an intensely sweet aroma. The flavour is every bit as sweet and the finished product offers potent and truly psychedelic experience. They take about 80-90 days to finish but can withstand relatively cold temperatures, giving them a late harvest time of late November. They are not as tolerant of frost so if frost comes early where you intend to grow, adjust your planting and harvesting accordingly. These plants like to grow outdoors in wide-open spaces and will reward you for giving them the space to stretch. Columbian Gold plants can produce as much as 600 g per square meter when grown outdoors. Compare that to the 350-400 g typical of plants grown indoors. If you decide to grow these plants indoors, be prepared for them to dominate your space. They will need high ceilings and plenty of space between plants to stretch. This feminized version does do a bit better indoors but will still require a skilled hand to maximize yields. The effect of Columbian Gold is purely sativa: uplifting and clear-headed. Plus, with an average THC content of nearly 20%, it's also an immediate and long-lasting high. EFFECTS Potent, typical Sativa cerebral high.